Nintendo boss Satoru Iwata is considering a 3D always-on internet connection for a handheld gaming console. Mr Iwata told the FT he's looking into an Amazon Kindle-style 3G and Wi-Fi model for future iterations of DS consoles. "I'm interested because it's a new business model in which the user doesn't bear the communications cost," said Iwata. The key here is that the service is free to the end-user, unlike costly mobile contract deals such as those tied to the Apple iPhone. "Only people who can pay thousands of yen a month [in mobile phone subscriptions] can be iPhone customers. That doesn't fit Nintendo customers because we make amusement products," said the Nintendo chief. "The Kindle's one-off cost would better suit Nintendo's customer base. In reality, if we did this it would increase the cost of the hardware, and customers would complain about Nintendo putting prices up, but it is one option for the future." 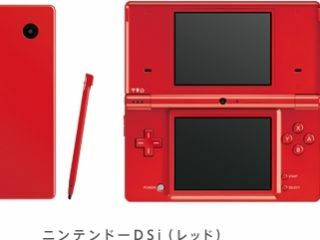 Nintendo's DS has sold over 113m units worldwide since launch in 2004. However, as ever with Nintendo, it is a 'baby steps' approach to digital distribution that Mr Iwata wants to see. When asked how quickly the games industry will move to digital downloads, the Nintendo boss said: "I think it will take quite a long time." © Future Publishing Australia ABN: 96 734 906 323 | PO Box 1077, Mount St, North Sydney NSW 2059.